Last week, Netflix released the second season of Marvel’s Jessica Jones while the latest Marvel 101 videos have been used to reacquaint viewers with the characters from the series, including Jeryn/Jeri Hogarth, Kilgrave, and Jessica herself. The latest one focuses on Jessica’s best friend Trish Walker. After the accident, Jessica (Krysten Ritter) was put with the Walker family. Trish (Rachael Taylor) was a child star going by the name Patsy and had an overbearing mother named Dorothy (Rebecca De Mornay). She dealt with issue of addiction and eventually cleaned up her act and became a radio talk show host. She is determined to never be a victim, studying the martial art Krav Maga. She jumped in to help Jessica when Kilgrave (David Tennant) returned in season 1. She is just as determined to get to the truth about where Jessica’s powers come from in season 2. Trish is based on the character of Patsy Walker from the Marvel Comics. Patsy was originally in an Archie-style series called It’s Patsy — she would later move over to the superhero side when she befriends Hank McCoy, aka Beast, and helps him on a case in exchange for him helping her become a superhero. She would later track him down at Avengers Mansion and tag along on a case, where she discovers a costume used by Greer Nelson as the Cat (she would later become Tigra). Walker believed the costume enhanced her abilities, and she would eventually go with Moondragon to Titan to study to be a fighter and increase her latent psychic powers, become the hero Hellcat. Though her path here is very different, tune into the new season to see if they move the character any further down the path to suiting up. Marvel’s Jessica Jones season 2 is available now on Netflix. 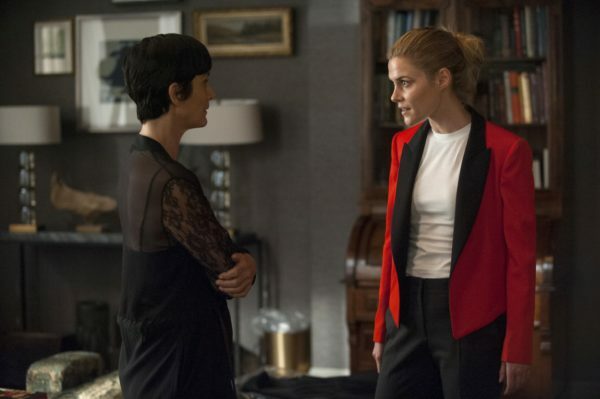 The post Marvel Reacquaints Us with Jessica Jones’s Best Friend, Trish Walker appeared first on Bleeding Cool News And Rumors. Vía https://www.bleedingcool.com/2018/03/14/marvel-101-jessica-jones-trish-walker/ ʕ ᴖᴥᴖʔ Subscribe to me here on Youtube!